As America inaugurated its new president yesterday, we also learned that the ’80s cruise will soon have a new musical captain. 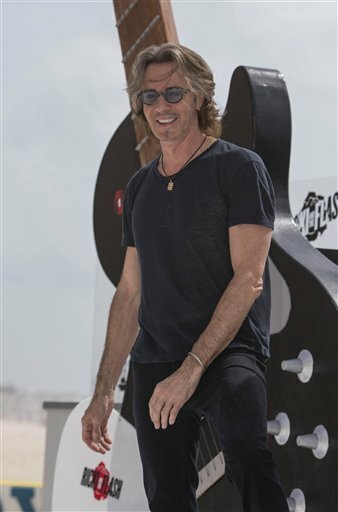 It was announced yesterday that Rick Springfield will host next year’s The 80s cruise, March 17-24, 2018. The event will include a number of performers from the 1980s, as well as ’80s-themed parties and stops in the Bahamas and the U.S. Virgin Islands. RS will host the cruise, and even a few of the original MTV VJs will be there. As someone who was in junior high and high school in the ’80s, this sounds totally rad and it’s definitely on my “If I win the lottery…” list. However, there was an ’80s tribute band from New York on the 2016 cruise called Jessie’s Girl, so he was there in spirit. Springfield will head-up parties on the cruise, as well as perform three headlining concerts, jam with other musicians during their sets and be part of a Q&A and autograph session. The cruise will also feature ‘80s movies and videos playing in the cabins and a nostalgic video game arcade. Co-hosts on the cruise include MTV VJs Mark Goodman, Nina Blackwood and Alan Hunter. It sounds so fun – I guess I should start playing the lottery now.